Let's say you design a mobile app and find it too intimidating to design your own images, or you don't want to take the time to compile the information for something like an infographic. Do you think your plain mobile app will perform just as well as compared to if you were to include images and other visual content? Not a chance, because 94 percent more total views are attracted on average when content contains compelling visuals, according to MDG Advertising. And you don't even have to worry about the design aspects, because most of the work is completed for you by using simple photo design tools and the iBuildApp mobile app templates to get started. It's easier than ever to incorporate visual content, so let's take a look at the reasons you should do so. 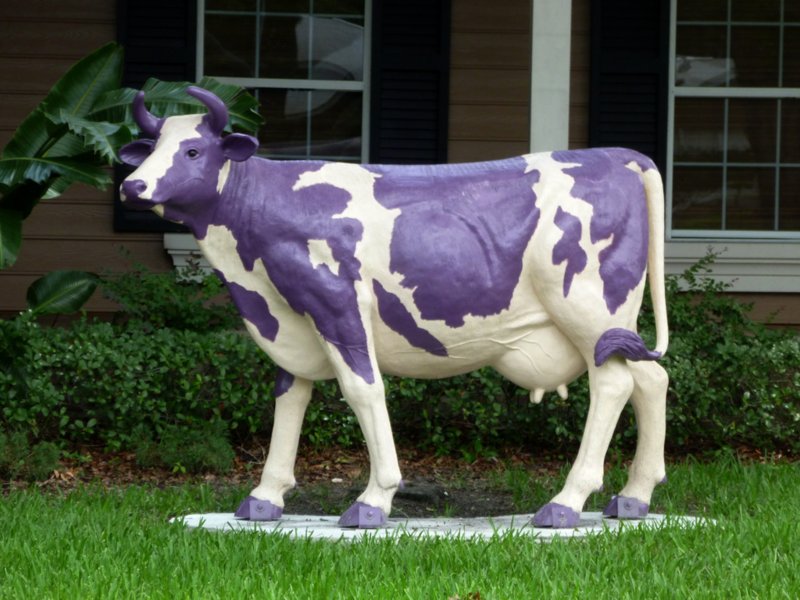 Seth Godin is known for his creation of the purple cow. He introduced the idea in earlier blog posts and eventually published a book that outlines the necessity to find your purple cow. What does this mean? Godin explains that if you were driving down the road and noticed a bunch of grazing cows you may marvel at the first few, but after seeing a few it becomes old news. But what if you saw a purple cow? This would grab your attention immediately. Others would turn their heads, and they would continue turning their heads until that one purple cow started breeding and creating purple cow babies. Once the world was filled with purple cows it wouldn’t seem spectacular anymore. With visual content you have a rare opportunity to grab user attention with something truly unique. It doesn't matter if you create an app from scratch or choose a template; find your purple cow to gain success in the app store. Visual content works as the backbone for your marketing and promotional strategy, since it's typically the first thing that your user notices, and it's the part they remember the most. 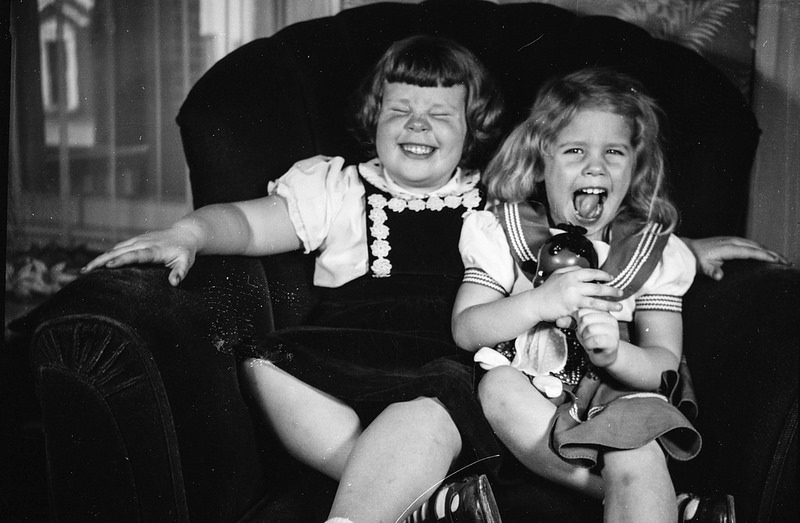 Images and videos should communicate your culture in a professional, or maybe cute, way. The ultimate first benchmark test is to ask yourself what your family and friends would say about your visual content after you showed it to them. Yes, they'll tell you it's wonderful to your face, but what about when you walk out of the room? Will they roll their eyes at your crazy pipedream or laugh and joke about how corny your visual content seems? 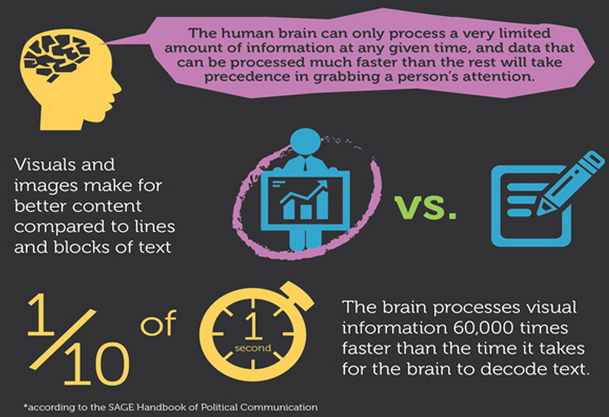 As you can see above, the brain processes visual information quite a few times faster than it takes the brain to process text. What's the point of your company or brand having a mobile app? What's your main conversion metric? You may want more product sales or blog visitors. Maybe you need more people to come to your concerts or to hire your freelance services. Regardless of what you want your customers to do, every app wants some sort of conversion. If you fill the mobile app with paragraphs of text, you slow down the journey these users have to make a conversion. Speed up the process and boost your conversions by using engaging visual content. See the rest of the Digital Marketing Philippines infographic here. A recent study found that 49 percent of adult internet users take photos or videos they found online and share the content elsewhere. Trends and stats don't lie, so what does this tell you about whether or not you should start implementing a full-fledged visual content strategy on your app? Photos and videos are known to receive more shares and likes on social media networks, blogs, mobile apps and just about everything else you can find online. We know. We know. You don't know how to create stunning visuals, right? Today, there's no reason to walk around with this excuse in your back pocket. Like we talked about before, the iBuildApp template library is filled with mobile app themes with relevant visual content. You can also use simple tools like Canva and Videolicious to construct professional-looking photos and videos before you upload them to iBuildApp. Visual content means business, so let us know in the comments section if you have any questions about adding these moneymakers to your mobile apps.